Time for another in my infrequent series of forgotten cavalrymen. Today, we have a guest biographer, Sheridan “Butch” Barringer, who is a cousin of our featured horseman, Brig. 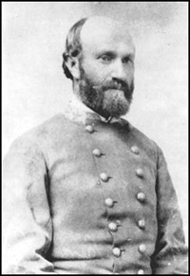 Gen. Rufus Barringer, the final commander of the North Carolina Cavalry Brigade. Butch was named for his father who, ironically, was named for Phil Sheridan, who captured General Barringer at Namozine Church during the retreat to Appomattox in April 1865. Rufus Barringer, a third generation American of Southern aristocracy, was born on December 2, 1821, in Cabarrus County, North Carolina. His father was Paul Barringer, an influential citizen of the county and officer in the militia during the War of 1812. His mother was Elizabeth Brandon, daughter of Matthew Brandon, a veteran of the Revolutionary War. Rufus was the tenth of eleven children, many of whom went on to achieve prominence. Rufus was graduated from the University of North Carolina (UNC) in 1842, where he was active in the Dialectic Society (Debating Club), and was one of the leaders opposing the establishment of fraternities, which he considered too secretive and because he detested the severe hazing. After graduation, he returned to Concord and read law with his brother, Moreau. In June 1843, he obtained his license to practice law. Rufus served in the North Carolina House of Delegates in 1848-49 and in the State Senate in 1850. Barringer supported progressive measures during his terms in the North Carolina Legislature, including establishment of a railroad system to serve the western part of the state,”free suffrage,” and judicial reforms. Just prior to and during his legislative days, he purportedly had an affair with Roxanna Coleman, a mulatto slave of a neighbor in Concord. He fathered two illegitimate sons, Thomas Clay Coleman and Warren Clay Coleman. Warren Coleman is best known for establishing a black owned and operated textile mill in Concord. He became one of the wealthiest black men in the South before he died in 1904. Also, during this period, Rufus was involved in a bitter political dispute with a prominent political figure of the time, Greene W. Caldwell. During the escalating clash with Caldwell, a duel was narrowly averted, but Caldwell attacked Barringer in the streets of Charlotte. The younger and stronger Barringer grappled with Caldwell and forced his attacker’s arm down so that three shots went through Barringer’s coat while one bullet hit him in the fleshy part of the calf of a leg. Both men were arrested and were fined, ending the dangerous affair. After one term as a senator, Rufus tired of the legislative morass and returned to Concord, where he became heavily involved in taking care of Moreau’s practice after Moreau was elected to the U. S. House of Representatives, where, Moreau shared a desk with and became friends with another Congressman, Abraham Lincoln. This relationship proved fateful to Rufus Barringer. In 1854 Rufus, a faithful Presbyterian, became engaged to Eugenia Morrison, fifth child of Robert Hall Morrison and Mary Graham Morrison of Lincoln County. Mr. Morrison was a prominent Presbyterian minister and the founder of Davison College. Rufus and Eugenia were married in May of 1854 and had two children, Anna Barringer and Paul Brandon Barringer. In 1874 Anna Barringer, 17, died of typhoid fever. Paul became a doctor, chairman of the faculty at the University of Virginia, and sixth President of Virginia Tech. Two other Morrison sisters married soon-to-be Confederate generals. Isabella Morrison married Daniel Harvey Hill, and Anna Morrison married Thomas J. Jackson. Thus, Rufus, Jackson, and Hill were brothers-in-law. In 1858, Eugenia died of typhoid fever. Three years later, Rufus married Rosalie A. Chunn, who died of tuberculosis in 1864, after having one child, Rufus Chunn Barringer. In 1870, he married Margaret Taylor Long, and they had one son, Osmond Long Barringer. Barringer was a Unionist at heart and opposed secession until the failed Peace Conference of February 1861 (Moreau was a North Carolina representative to the conference). Rufus then encouraged secession and preparing the state for the war that he saw as inevitable. He raised a company of cavalry in Concord, and was elected its captain. Barringer’s Company “F” became part of the 1st North Carolina Cavalry Regiment (Ninth State Troops), commanded by Colonel Robert Ransom. Barringer, Hill, and Jackson had cordial relations before and during the war, but Barringer and Hill became estranged over Reconstruction politics after the war. In July 1862, Jackson summoned Barringer to his headquarters to discuss Jackson’s proposed controversial “Black Flag” policy as a response to Federal commander John Pope’s threats toward Virginia civilians. Jackson never received approval for his “no quarter” war plan, and Pope’s offensive soon made the subject moot. At the battle of Brandy Station on June 9, 1863, Captain Barringer, acting as major that day, was seriously wounded while placing some of his troopers in position as sharpshooters to protect the Confederate artillery of Robert F. Beckham. Barringer was shot off his horse, being hit through the right cheek by a Federal sharpshooter. The bullet exited his mouth, causing serious injury that kept him out of service for five months. He was promoted to major on August 26, 1863, and returned to service at the time of the Bristoe Campaign in mid-October. Here, he rallied his troopers at Auburn and led a mounted charge at Buckland. He was promoted to Lt. Colonel on October 17. During the 1864 spring campaign, North Carolina Brigade commander James B. Gordon was mortally wounded on May 12 at Brook Church, five miles north of Richmond during Sheridan’s attack on Richmond to draw out and fight JEB Stuart. After the death of Gordon and the wounding of Colonel William H. Cheek on May 11, Lt. Colonel Barringer took over temporary command of the 1st North Carolina Cavalry Regiment. Three senior colonels stood ahead of Barringer to be promoted to brigadier general to command the North Carolina Brigade, but Barringer, favored by Gordon and recognized as a sound organizer and disciplinarian, was promoted over the colonels, bypassing the rank of colonel to command the brigade as a brigadier general. General Barringer performed well during the 1864 campaigns, leading Rooney Lee’s Division due to Lee’s illness during the victorious battle of 2nd Reams’s Station on August 25, 1864. He led his brigade in other fights, including Davis’s Farm, the Wilson-Kautz Raid, and Wade Hampton’s “Beef-Steak” Raid. At the opening of the 1865 campaign, General Barringer was conspicuous in the Battle of Dinwiddie Court House (Chamberlain’s Bed), Five Forks, and Namozine Church, where a band of Maj. Henry Young’s scouts, disguised as Confederates, captured him on April 3, 1865. He was taken to Phil Sheridan’s headquarters, where he breakfasted with the Union general. He was then sent to Petersburg and to City Point, and was at City Point on April 5, when President Lincoln visited. Barringer was the first Confederate general officer captured and brought to City Point, and Lincoln, hearing the name Barringer of North Carolina, asked that Barringer be brought to see him. Lincoln thought that the prisoner might be his old friend Moreau Barringer. The two men had a congenial conversation for a period of time. 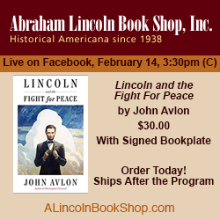 Lincoln gave Barringer a note of introduction to Secretary of War Edwin Stanton, since Barringer was being sent to the Old Capitol Prison in Washington. Barringer then met with Stanton for short periods over several days. Stanton had to clear out the prison because many prisoners were being received and gave Barringer the choice of prisons to be sent to. The hapless Barringer chose Fort Delawareâ€”the worst choice he could have made. Barringer arrived at Fort Delaware and stayed there until July 25, 1865, even though he made numerous attempts to obtain a release. After his release, he went to Washington in an unsuccessful attempt to obtain his pardon, and then went home to Concord, North Carolina. Moving to Charlotte during the post war period, he became a “Radical” Republican and strongly supported Reconstruction and was condemned by the Democratic press as a “traitor to his state.” D. H. Hill termed Barringer, and other Republicans, especially James Longstreet, as “lepers in their own community.” Hill, an elder of the First Presbyterian Church of Charlotte, refused to serve Barringer the sacraments at communion, declaring that “Republicans were not fit to sit at the Lord’s Table.” Barringer, angered at such treatment, transferred his membership to the Second Presbyterian Church and became an elder. A fearless politician, Barringer boldly stood his ground and supported black suffrage and other progressive measures to better the lives of the common people. In 1880, Rufus Barringer was the Republican candidate for Lt. Governor, and was defeated along with Republican gubernatorial candidate Ralph Buxton, even though they nearly carried Barringer’s Democratic district. During the 1888 national election, Barringer switched parties, supporting Democrat Grover Cleveland for president. Suddenly, he was a hero to the Democratic Press, and remained so for the rest of his life. He died of stomach cancer on February 3, 1895 and was buried in Elmwood Cemetery in Charlotte. Thanks to Butch for the excellent contribution. Here’s to Rufus Barringer, forgotten Tar Heel cavalryman. A hearty congratulations are in order to the New York Mets for repeating their epic collapse of 2007 again this year. With another fold again this year, the Mets ensured that the spectacular meltdown of their incendiary bullpen means that the season ended for them today. Nice work, guys. Way to blow the season. In my book, a very good baseball season is one where no New York team makes the playoffs. A great baseball season is one where no New York team makes the playoffs AND the Phillies do. This has been a great baseball season. For only the 13th time in the history of the team, my Phillies won 90 or more games this year, posting a 92-70 record. Closer Brad Lidge went 41 for 41 in saves, Ryan Howard led the majors in home runs and RBI’s, Chase Utley had a career high in home runs with 33, along with 104 RBI’s, while Jason Werth, who was platooned for much of the season became an everyday player with 24 home runs and 68 RBI’s. The ancient Jamie Moyer, 45 years old, went 16-7 (and could have won 20 with some run support during the middle of the season), while their young star, Cole Hamels, went 15-10, and also easily could have won 20. So, congratulations to the Phillies for winning the National League East for the second consecutive season. Congratulations to the Mets for a second consecutive epic collapse, and congratulations to the Yankees for once again proving that the highest payroll in the history of sports doesn’t guarantee winning or having the best team. It’s been a great season. Let’s go Phightin’ Phils!!!! Our friend Paul R. Taylor has a really interesting post on his blog setting forth his opinion on what should and should not be included in museum exhibits at Civil War battlefields. Paul’s post sums up my position on this issue perfectly, and I commend it to you. While I understand the role of slavery in causing the war, I agree with Paul that most folks visit specific battlefields to learn about the events that occurred there. 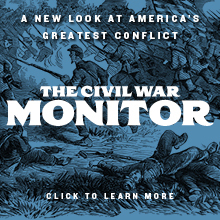 Consequently, I agree that the issue of the causes of the war and of slavery is best left to general Civil War museums and that these issues really have no place on specific battlefields. Much of this controversy has been brought to the forefront by the ongoing debate about the merits of the new visitor center at the Gettysburg National Military Park. I don’t care for it, for a lot of reasons, some of which have already been elaborated here. I found the museum exhibits especially offputting. One thing that bothered me was the layout and traffic pattern of the museum exhibits; my friend and co-author Mike Nugent quite correctly likened it to herding cattle toward the slaughterhouse when we visited it back in June. I also don’t like the fact that so few of the artifacts from the Rosensteel Collection are on exhibit, and I really don’t like the idea of charging people to see the museum, particularly when the National Park Service sold this boondoggle to the public based on the representation that there would be no charge to see the museum exhibits, just as there was no charge to see the artifacts at the old visitor center. I know that Kevin Levin has a very different perspective on this issue, and I respect both Kevin and his perspective. However, I respectfully disagree with him on this issue, just as I respectfully disagree with the original legislative mandate that forced the National Park Service to include this material in its interpretation of Civil War battlefields. Instead, I believe that places like the excellent new museum at the Tredegar Works in Richmond, or the National Civil War Museum in Harrisburg, Pennsylvania are really the appropriate places to do this sort of interpretation, as they cover the ENTIRE war and not just a specific battle. I offer this as food for thought on a controversial but lingering subject. On September 23, 2005, the first post of this blog was made. There’s not much to it, other than a brief introduction. I started this blog to scratch an itch I’d had for a while; I had things to say and hoped someone would pay attention. Little did I know what I had started…. Three years, 806 posts, and 5134 comments later, this blog is still going strong. To my astonishment, not only were people interested in what I had to say, you have flocked to this site. This blog is regularly ranked within the top 200,000 listed on Technorati. Considering that this is very much a niche blog, and there are millions of blogs out there, it’s really humbling to have such a high ranking. Because there is so much traffic, I often exceed my bandwidth limitations and have had to increase them several times over the years. I’m absolutely blown away by the number of people who visit this site each day and who indulge my rantings. I especially enjoy the interactions with you that take place in the comments; indeed, some of the best discussions I’ve had in recent years have taken place in the comments to this blog. I’m fortunate to have a literate and enthusiastic group of regular readers who enjoy the interactions as much as I do. Those discussions go a long way toward making this blog what it is, and I appreciate that very much. All I can say is that I am flattered and humbled all at the same time. To all of you who come here every day, thank you. I’m still standing, and I still have plenty left to say. All I can say is that I hope you won’t be disappointed. Thank you for your time and for your attention. Some of you have asked about when Scott Mingus’ new book, Flames Beyond the Susquehanna: The Gordon Expedition will be published by Ironclad. I anticipate that the book will be out in mid-November, if all goes well. It’s an excellent book, and one that will be a welcome addition to the body of knowledge about the Gettysburg Campaign. I cannot say enough good things about this work. I read Plenty of Blame first (same publisher), which was also groundbreaking and changed entirely the way I look at the cavalry in the campaign and Stuart in particular. Who knew all that about the horses, their endurance, the choices that had to be made, etc. Everyone had an opinion, but no one except Petruzzi and Wittenberg actually spent the time to research it. Bravo to you both. One Continuous Fight is everything the blurbs and the great reviews says that it is. The fighting matched the title. And who the heck knew that? I have been reading about Gettysburg for 20 years. I had no clue about this. What do you hear about except Falling Waters? And who knew Falling Waters was such a vast enterprise when taken in its totality? Kent Brown’s book on the same time period was nearly silent on all this. He barely scratched the surface. His treatment of logistics and movements was good, but pretty dry in my estimation. You can only read about corn and captured ammunition so long. One Continuous fight rocks, from the first page to the last. 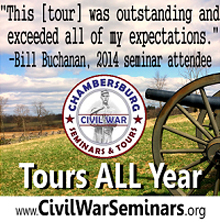 It is fast paced, interesting, well written, has great maps, great photos, and two stellar tours. I did both of them with my rental car GPS, and they are perfect. I have driven those back roads before but know I actually KNOW what I am looking at. And the book is meaty in length, too. Unlike so many books today, this one is put together well. The jacket is lovely, the printing and binding is great, and the publisher used a lot of maps and illustrations. I know some limit that (which is stupid in my estimation–but hey, I am just a reader, the person who BUYS the books. UNC and LSU press, are you listening??). And the price was also fair. You could use One Continuous Fight as a doorstop is is so solid, but I have a pair of White Mane books out there for that purpose in case it rains. Some books are priced ridiculously. This one at less than 35 was a bargain. A couple people commented on spelling or grammatical errors. There were a more than there should have been, but really, who cares? I didn’t. I would rather have a great book published well, than a well published book that tells me the same crap all over again in a boring style. Hoorah for One Continuous Fight! Wholly recommended without reservation. Now, can we get another from this trio? Kris, thanks so much for your kind words. They’re much appreciated. To answer your question, the answer is be patient. Good things come to those who wait. Regarding the typos, etc., that have been the subject of some criticism of the book: The good news is that the second edition of the book, which corrects all of this stuff, is at the printer as I write this. It will be released shortly, and hopefully, we will have heard the last about the typos. The title of the recent book by Marc Leepson, Desperate Engagement: How a Little-Known Civil War Battle Saved Washington, D.C., and Changed American History, clearly states the book’s thesis: that the Battle of Monocacy saved the Federal capital at Washington, D.C. from falling to Jubal Early’s Confederate army. That’s the conventional wisdom, and there’s certainly absolutely nothing new about that interpretation. I’ve spent a lot of time thinking about this important and fascinating battle, and I have likewise spent a fair amount of time talking about it with old friend Scott Patchan. In fact, Scott deserves a major tip of the hat, as he’s the one who really got me thinking along these lines. Scott’s point is that while the fight by Lew Wallace’s men at Monocacy was valiant, brave, and worthy of praise, it really didn’t save Washington. Scott’s point, which I have come to accept as being correct, is that Monocacy really could not have saved Washington, because Early never really intended to go there and take it. As Scott points out, Early lingered in front of Harpers Ferry for several days on his way north, and then he likewise dawdled at Martinsburg, Hagerstown, and then Frederick, ransoming each. Had Early been serious about taking Washington, he would have headed straight there without delay, and he would have found the place almost undefended. For one thing, Wallace would not have had Ricketts’ division at Monocacy Junction, and the rest of the Sixth Corps and elements of the Nineteenth Corps would not have arrived in Washington in time to persuade Early not to launch an all-out assault on Fort Stevens on July 12. Instead, the city would have been lightly defended, and Early could have dashed into the city and raised havoc. The fact that he dawdled suggests that the real intention was to draw Union forces away from Petersburg and not taking the Union capital. Had he entered Washington, Early would not have been able to hold it, so other than the embarrassment and chaos factors, entering Washington would not have gained much for the objectives of the Confederacy, whereas if could draw forces away from Petersburg and enable Robert E. Lee to break the Federal hammerlock there, his foray north of the Potomac River would have had real, tangible benefits for the Confederacy, justifying any casualties, diverted resources, weakening of the Army of Northern Virginia, etc. Therefore, while I certainly don’t want to take anything away from Wallace’s fine fight at Monocacy–it was a tough, hard fight wherein the severely outnumbered Federals more than held their own against a greatly superior force of Early’s veterans–I have come to the conclusion that Scott is right, and that perhaps saying that Monocacy saved Washington, D. C. overstates the case. In a comment to this blog, Benjamin Franklin Cooling snidely asked me what I thought I could add to the body of knowledge about Monocacy in light of his work, Fred Ray’s work, and Leepson’s book. There you go, Dr. Cooling: I’m going to argue an analytic outcome that directly contradicts the conventional wisdom. Every once in a while, I get into a rut where I just don’t feel like writing, especially not writing something new. These spells come and go. They usually last a few months and then something comes along to shake me out of my malaise. I seem to be deeply mired in one of those periods just now. I just can’t seem to be able to motivate myself to undertake writing anything new. The thought of the process of pulling this stuff together to construct a new narrative is very offputting at the moment. I think abut it, and I just don’t want to do it. I think that the fact that we haven’t had a vacation since May 2006 probably factors into this heavily. I’m tired and on the verge of being burned out, and I desperately need some down time. Fortunately, I’m going to get that in about three weeks. Susan and I will be spending the first full week of October in the Outer Banks with some friends, and I suspect that I will end up with a much-needed attitude adjustment once we get there and I get away from the practice of law for a few days. Hang in there with me. I’ll be back working on another book again soon. It’s just a question of when. Here’s a link to my friend Scott’s blog that will give you some idea of some of the damage sustained on the western side of the county. It will give you a sense of what we’ve been dealing with here. First, it is worth noting that this is the 800th post on this blog. That’s a milestone I never thought I would reach, and I thank each and every one of you who takes time out of your day to indulge my rantings. Here’s a quick update on the status of things here. Our power came back on at the house last night. We were at the hotel, and Susan realized she had forgotten something and ran home to get it. She then discovered that the power was back on, called me to tell me, and then came to pick us up and take us home. We still have no telephone or Internet (hopefully, those will come back today) and a freezer full of spoiled food, but other than that, we’re okay. There are still easily 250,000 people here in Central Ohio with no power. Neither my office nor Susan’s has power. People are suffering with no refrigeration, no hot water, no electricity, telephone, etc. ; fortunately, the weather is cool, so it’s not ghastly without air conditioning. Those whose power has not already been restored may have to wait as late as Friday or Saturday to get their power back. Clean up is under way. Not surprisingly, the tree service companies are overwhelmed with calls that they cannot begin to keep up with at the moment. One poor local man was killed when he was going to his shed and a tree fell on him. That’s obviously unfortunate, but this poor fellow’s son vanished a couple of years ago and remains missing, making his situation doubly tragic. I hope he finds some peace now. So, we’re fine. A little bruised and sore, wand with lots of cleaning up to do, but we will be just fine. Tomorrow, it will be business as usual on this blog.